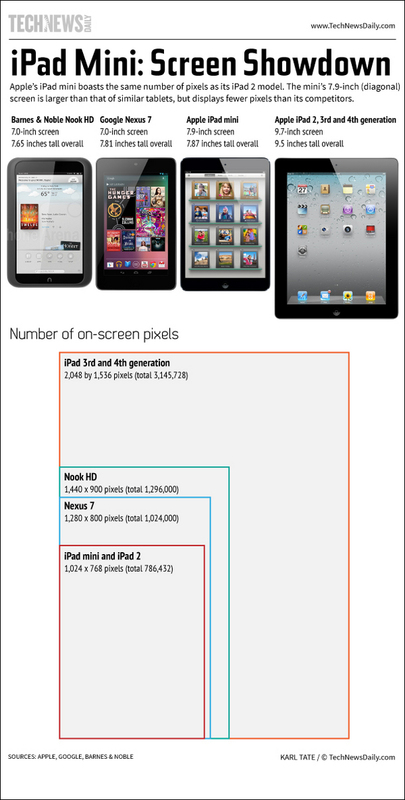 This from TechNewsDaily.com doesn’t show Amazon Kindle devices, but it still doesn’t help the iPad Mini’s case. Over on PaperlessCockpit.com, I’ve been writing about my quest to find an iPad Mini. More than a month later, and I still haven’t been able to track one down in stores that I can actually purchase. Sure, the Apple Store will let me play with a demo unit, but unless I can run faster than the mall cop, I’m not leaving with one. On Amazon, several online retailers say they have a few iPad Minis in stock, but they’re selling out quitckly. BestBuy.com will allow me to place an order (and take my money), but both the estimated shipping date and in-store pickup still show “Not Available.” The Apple online store claims the 16GB WiFi iPad Mini will ship two weeks from the time I order it. I’m not buying into Apple’s promise of future joy. Nobody’s getting my hard earned ducats unless I get some good, old-fashioned, instant gratification. On the positive side, Apple’s procrastination is has given me ample opportunity to compare other tablets that are actually in stores or available for immediate shipment. There are dozens and dozens of awesome Android tablets out there, and even Windows 8 tablets seem to rallying in time for the holiday spending spree. My wife really loves the original Amazon Kindle Fire that I bought her last year. It didn’t have the hottest technical specifications on the market, but it’s proved itself to be a solid performer. Still maintaining the $200 price tag, but sporting improved technology, the Kindle Fire HD is a tempting holiday treat. Apple seems to have a good handle on its App store, but I finally dumped iBooks last year due its content being locked in iOS devices. I want to read my books on any device I happen to get my hands on, and Amazon has been smart to make the Kindle eBook Store available on any device. Amazon Prime Instant Video also isn’t locked into an Amazon-only ecosystem: I can watch rented, purchased or streaming movies on the Kindle Fire, my iPhone, my iPad, my MacBook Pro, or Xbox 360. Apple, do you have a bad feeling about this?